Contemporary, Modern Slab Tables custom made in Montana. 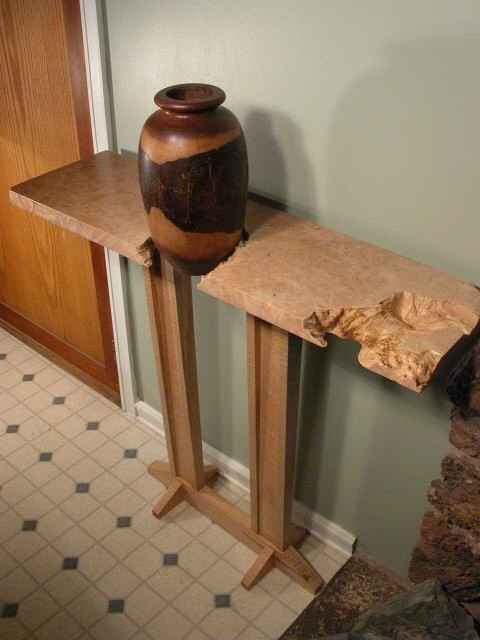 Curly Maple and Maple Burl Slab custom hall/sofa table with unusual natural cutout shape that allows walnut vase to be set in top. Use your imagination! !